Forest Glen, built on 630 acres of winding fairways, shimmering lakes and breathtaking woods just south of I-75 and west of Collier Blvd, is one of the area’s premier gated golf and country clubs. Here you will find condos, garden homes, coach homes, attached villas and single family homes, all with spectacular views of the lakes, preserves and greens. The single family homes range from 1,815 to 2,387 square feet with two bedrooms plus a den up to three bedrooms, all with two car garages. The villas range from 1,534 to 3,879 square feet with two to three bedrooms and a two car garage. The coach homes range from 1,869 to 2,196 square feet with two bedrooms pus a den to three bedrooms and a one or two car attached garage. The verandas range from 1,261 to 1,599 square feet with two to two bedrooms plus a den and a one car detached garage. The condos range from 1,170 to 1,567 square feet with two to two bedrooms pus a den and a one car carport. 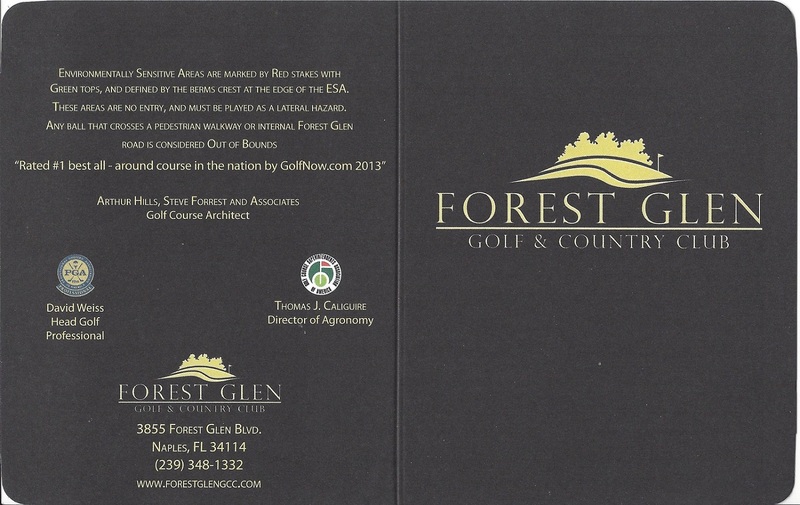 At the heart of Forest Glen is its elegant clubhouse where you will find all of the amenities one would expect. 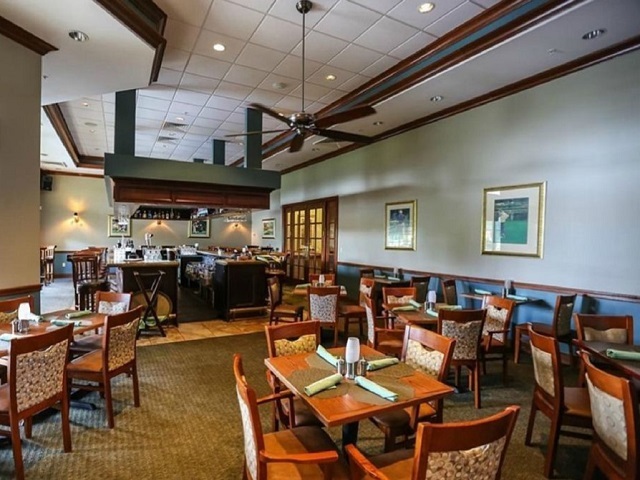 Golfers can enjoy a cold beverage and quick snack at the 19th Hole Bar & Grill and there is a restaurant with fine country club dining. 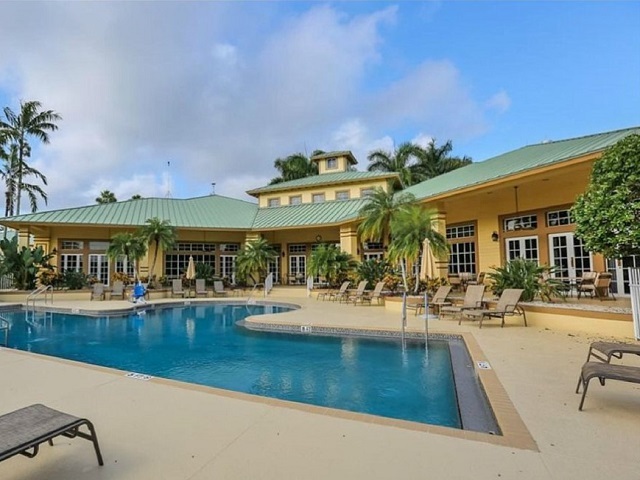 You will also find a state of the art fitness center, fully stocked pro shop, pool & Jacuzzi with an outdoor Tiki bar, billiards room, TV/computer room and six tennis courts. In addition, there is a full calendar of events including parties, dances and classes, all coordinated by a full time social director. 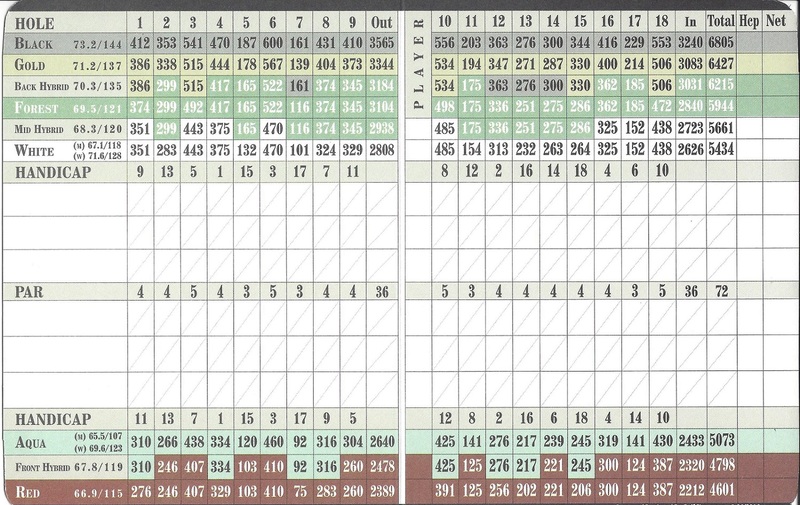 The golf course which plays from 4,888 to 6,820 yards was completely updated by Authur Hills and Steve Forrest in 2008. 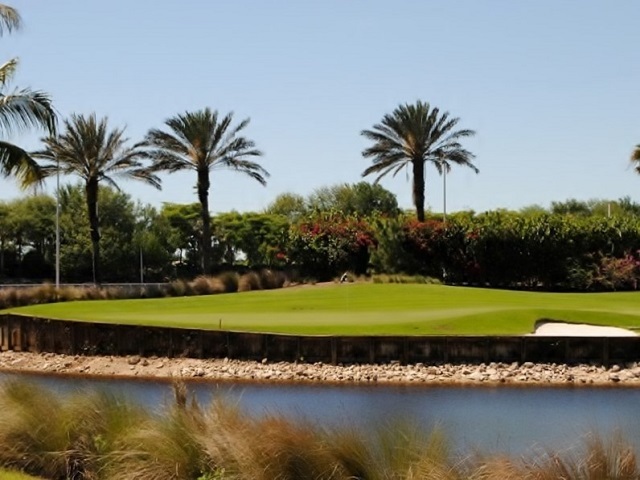 It features Sea Isle Supreme Paspalum Grass and is both beautiful and demanding. With ample fairways, undulating greens, numerous preserves and over a dozen lakes, it is enjoyable for the average golfer, yet a real challenge to the low handicapper. Each tee has five sets of markers, there is a driving range and putting green for practice and warm up and a fully stocked pro shop. If you are seeking a friendly bundled golf community in a natural setting with miles of biking, jogging and walking paths, then Forest Glen may be just the place.